... but the Oxycodone helped. Anyway, after being discharged from the NICU, L and I were given two tasks. One was to get an EKG ourselves to make sure we didn't have any heart conditions that might be genetic. We both passed. The next was to schedule an appointment with an pediatric cardiologist to follow up with Aaron between four and six weeks. Friday, at five weeks and one day, we had our appointment. Keep in mind that my little boy now weighs OVER NINE POUNDS and I am feeling pretty good in terms of keeping him alive and stuff. I also have a wonderful cousin who happens to be a pediatric cardiologist herself, and she set my mind at ease when I told her about what was going on by telling me that babies often outgrow these types of things. So I strolled into the doctor's office prepared to be told that all was well. Thankfully, when Dr. P left the room he also left his first year med student behind, who happened to be sweet and very smart. When I told him I was about to pass out right there in the middle of the room, he told us that a small hole in the heart is fairly common and not cause for alarm. If he had not explained that to me, I might still be a puddle on the floor of that doctor's office. WHICH WOULD HAVE BEEN EXCELLENT INFORMATION TO HAVE BEFORE HE LEFT THE ROOM THE FIRST TIME. Long story short, A-Rod doesn't have a hole in his heart at all. 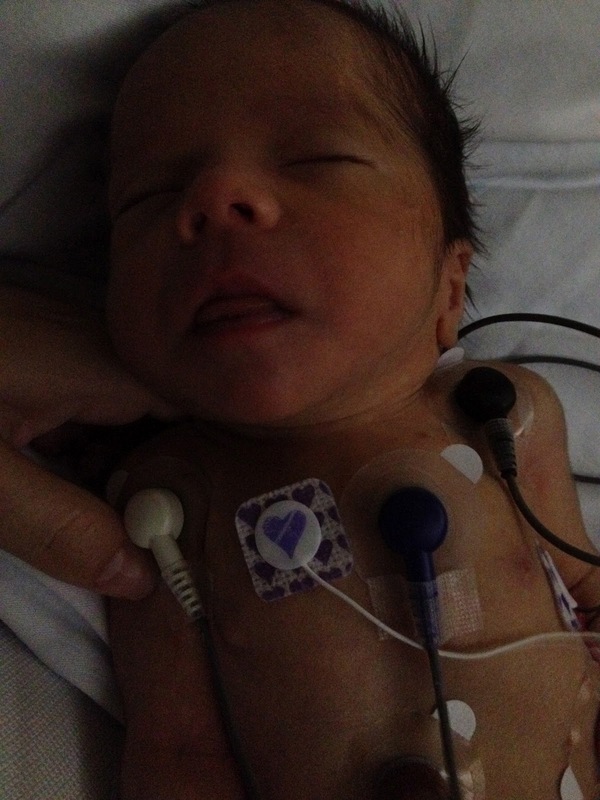 He has Patent Ductus Arteriosus, which sounds really scary but actually is no big whoop. It will probably fix itself in a year, and if it doesn't the procedure to fix it is quick and easy. I have always said that if I had been born smarter, I would want to be a doctor. I'm guessing that a woman in her thirties who can't remember how to add fractions probably doesn't belong in a white coat. However, considering all the doctor visits over the last year or so, I do know one thing: Doctors are awesome, but they don't know everything. No one does. And a woman in her thirties breathes another sigh of relief. 1. That picture is awesome. 3. Keeping you guys in our prayers-- for at least the next 18 years, maybe longer. Oh heavens! Been there and done that too... Jacques was a little older when a medical student discovered a problem and sent us to the peds cardio. The crazy part in our story is the cardio was more concerned about his head circumference than his heart! Talk about freaking out! 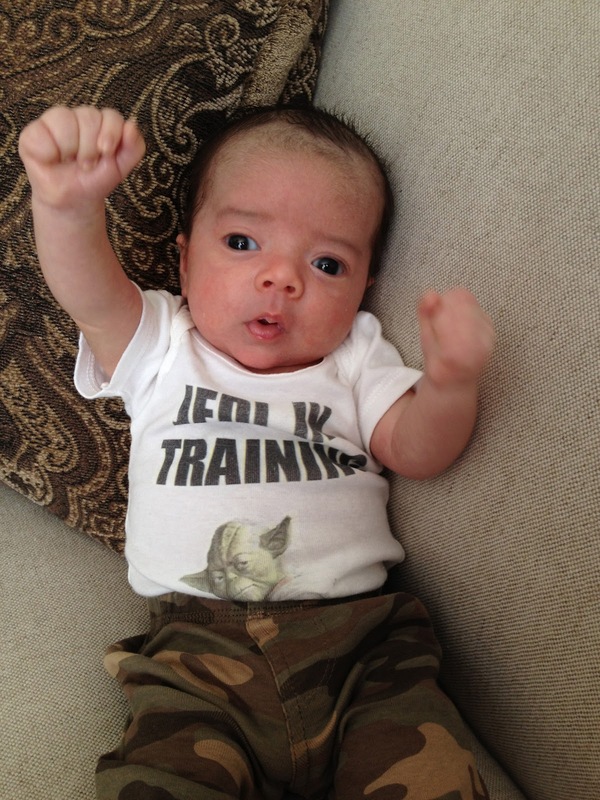 Glad to hear that your padawan learner is doing great, despite the heart freckle! And yes, doctors do not even come close to knowing everything, and many lack any form of a bedside manner... that became blatantly obvious when getting diagnosed with ALS! Glad everything is ok and congrats on number two!